An autoimmune disorder is a condition that occurs when the immune system's white blood cells mistakenly attacks and destroys healthy body tissue. Normally the immune system's white blood cells help protect the body from harmful substances, called antigens. Examples of antigens include bacteria, viruses, toxins, cancer cells, and blood or tissues from another person or species. The immune system produces antibodies that destroy these harmful substances. In patients with an autoimmune disorder, the immune system can't tell the difference between healthy body tissue and antigens. The result is an immune response that destroys normal body tissues. This response is a hypersens itivity reaction similar to the response in allergic conditions. In allergies, the immune system reacts to an outside substance that it normally would ignore. With autoimmune disorders, the immune system reacts to normal body tissues that it would normally ignore. What causes the immune system to no longer tell the difference between healthy body tissues and antigens is unknown. One theory is that some microorganisms (such as bacteria or viruses) or drugs may trigger some of these changes, especially in people who have genes that make them more likely to get autoimmune disorders. More recent scientific studies point to an excess amount of toxins and allergens both in the environment and in our food supply. You’re probably familiar with the most common autoimmune diseases, like rheumatoid arthritis, lupus, multiple sclerosis, inflammatory bowel disease, type-1 diabetes, hypothyroidism, and psoriasis. But there are many more autoimmune diseases that affect the nervous system, joints and muscles, skin, endocrine gland, and heart. Simply put, autoimmune diseases are conditions where the body’s immune system attacks its own tissues rather than a foreign molecule like bacteria. This happens when something confuses the immune system. Increasingly, that “something” appears to be the enormous load of environmental toxins to which we are all exposed. You will want to share this informative video with everyone you know. Increased salt consumption may be a key culprit behind rising rates of autoimmune diseases such as multiple sclerosis, researchers recently reported in a trio of papers looking at the role of a specific class of cells linked with inflammation. Reporting in the journal Nature, the researchers said high-salt diets increased levels of a type of immune cell linked with autoimmune disease. And mice genetically engineered to develop multiple sclerosis (MS) got much worse when they ate what amounted to a high-salt Western diet compared with mice who had more moderate salt intake. Perhaps one of the most significant risk factors for optimal health is the potential for nutritional deficiencies. Since 1980, when iodine levels began to decline, thyroid diseases have become very common and taking thyroid medicine has become so accepted that, sadly, we don’t even consider it a disease anymore. Symptoms of iodine deficiency include, among other things, fatigue, cold hands and feet, brain fog, increased need for sleep, dry skin, thinning hair, and constipation. Even if you eat a healthy diet, it’s easy to become iodine deficient. This video will reveal why iodine deficiency is so prevalent these days, and the best ways to lock in those iodine stores. Celiac disease is a condition that damages the lining of the small intestine and prevents it from absorbing parts of food that are important for staying healthy. The damage is due to a reaction to eating gluten, which is found in wheat, barley, rye, and possibly oats. This short video shows how easy it is to eat gluten-free foods. Dr. Peter Osborne discusses gluten and autoimmune diseases on Fox News. Migraine headaches, stomach upset, sleeping trouble and blurry vision are all resolved on a gluten free diet. This entertaining video give you an informative crash course on how the body's immune system works. Fibromyalgia is an often misunderstood and misdiagnosed disease that overwhelmingly strikes women. Learn the symptoms of this illness as well as various treatment options. Is it possible that Multiple Sclerosis can be cured? According to some medical mavericks, the answer is yes. Watch this revolutionary video on how scientists believe infections are what triggers this debilitating disease. Coconut Oil is touted as Alzheimer's remedy. Researchers say the ketones found in coconut oil have slowed the progression of Alzheimer's disease in some people and may actually prevent it. Watch this compelling story from CBN News of one person with advanced Alzheimer's symptoms that were reversed by simply taking pure coconut oil as a supplement. Rheumatoid arthritis (RA) is an autoimmune disease that causes chronic inflammation of the joints. While inflammation of the tissue around the joints and inflammatory arthritis are characteristic features of rheumatoid arthritis, the disease can also cause inflammation and injury in other organs in the body. This informative video presents natural steps that can be taken to reduce and even reverse the effects of RA. Fibromyalgia is a medical disorder that is characterized by chronic and widespread pain, including fatigue, insomnia, joint stiffness and pain, and cognitive dysfunction. Watch this true story of how one woman was completely cured from this debilitating condition. This informative video shows you natural ways to stop and reverse Type 1 Diabetes and other dibilitating Autoimmune Diseases. Dr. Martha Herbert, Pediatric Neurologist at Harvard explains that autism is "not a life sentence" and that "The brain is not malformed, it is irritated because of 'toxins' and allergens in the food and surrounding environment. Watch Dr. Oz discusses with neurologist Dr. Majid Fotuhi the importance of taking DHA supplements to prevent Alzheimers and memory loss. Deficient is not a word we like to hear used to describe us. Unfortunately, that's what most of us are - in vitamin D, that is. It's estimated that three out of four Americans are D-deficient. Yet, how to get the needed vitamin - and exactly how much of it - is up for debate. That's why we scoped out the true lowdown on D.
"Although our body doesn't make vitamin D on its own, it does create the precursor to it, referred to as vitamin D2," says Jeffrey Morrison, M.D., founder of The Morrison Center in New York City. "Then, when we get ultraviolet exposure, that precursor is converted to the active form of vitamin D, which is vitamin D3." Morrison says that low vitamin D levels can cause some autoimmune-related diseases such as fibromyalgia as well as seborrheic dermatitis. And, studies show that pregnant women who had low D put their children at risk for asthma and type-1 diabetes. Plus, low D has been linked to an increase in seasonal affective disorder (SAD). The only way to truly know if you are D-ficient is to get a blood test. The healthy range of D, number-wise, is broad because your body's specific needs depend on a number of factors. However, if your results fall anywhere above 32, you're fine in terms from a baseline health perspective. Still, Morrison notes that he prefers to see the number hit 50 to 100, as that's the optimal range for disease prevention. So, that brings us to the big controversy around D - namely, the sun. Because for the body to create active vitamin D3, the skin needs to come in contact with sunscreen-free UV light, and the sun's rays, are of course, a known carcinogen that has been linked to skin cancer. While some experts say that all you need (on an average day) is about 10 minutes in the sun, others say if you were to add those 10 minutes up over your lifetime, it could be enough UV light to lead to skin cancer. Theoretically, you're probably getting enough incidental sun exposure, and that it could be enough to get enough D. But, the statistics suggest otherwise, because most of us are still low. Enter: fortified foods...right? 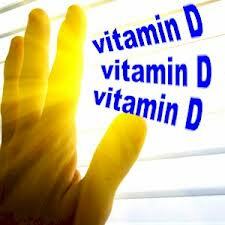 Unfortunately, outside of cod liver oil, there aren't that many foods that naturally contain vitamin D3. Some foods, such as orange juice and most cereals, have had D added to them. Just be sure it isn't laced with the cheaper and subpar precursor D2, which is harder for your body to convert. Another no-brainer way to get D, which many experts say is the safest, is taking a supplement. "It can be very difficult to get ample D from sun exposure alone," says Morrison, who notes the standard recommendation on D is about 400 international units (IU). However, he normally recommends around 1000 IU daily for those who aren't at risk or have any health conditions related to low D - then it could go up to even 5000 IU. And, because vitamin D is a fat-soluble vitamin, it's better absorbed by the body when taken along with a fat-based food, such as yogurt or a salad with olive oil dressing. There are lots of interests out there who don't want you to have hope about curing your Crohn's or Colitis. Whether they are drug companies, physicians or sufferers who want to suffer; they have their own reasons. I want you to know, you don't have to listen to them. I'm a living example of someone who is cured by following a simple grain free diet. I haven't taken any Crohn's medications since 1998. I'm not saying my exact diet will be perfect for you to cure your Crohns, I AM saying, DON'T lose hope about getting better. Don't listen to the "hopelessness pushers." For those suffering from Crohns Disease and Dysbiosis it is important to have a diet high in insoluble fiber and prebiotics to combat bad bacteria in your colon. Prebiotics help good bacteria in your gut to grow which enriches your colon wall and make it much healthier. Discover the many benefits of prebiotics for those with Crohns Disease by watching this video by Gastroenterologist Frank W. Jackson. I couldn’t believe what was happening to me. I was lying in bed, clutched in the grip of yet another panic attack. Night after night, I tossed and turned. I couldn’t sleep. My heart was racing, my mind was racing, and I wondered whether this would always be my life. As happens with most autoimmune disorders, I had no idea what was going on. Early into my second year of medical school, I was seized by panic attacks — I never knew when another one might strike. My heart and mind were in constant overdrive, I was dropping weight, and always in a mild sweat. My hands shook with a noticeable tremor. Then the insomnia kicked in, I felt as though I were living in a prison of anxiety, dizziness, and fatigue. Even worse was the helplessness — the feeling that my life was no longer my own. My worried friends convinced me to go see a doctor, who brushed aside my concerns. Although I didn’t know what was going on, I knew enough to trust my own instincts. I demanded a full workup and lab testing. It turned out my instincts were right on the money. I wasn’t just panicking over courses and exams. I had an actual, diagnosable condition: Graves’ disease, a condition in which the thyroid overperforms. Finally, my misery had a name. Learning its name was just about the last comfort I got, however, because the conventional treatments for Graves’ were pretty terrifying. There were three choices on the menu, and none of them seemed appealing. The first and least invasive choice was to take a drug known as propylthiouracil (PTU), which was supposed to stop my thyroid from working so hard and keep it from overproducing the hormone. That sounds good, right? Then I looked at propylthiouracil’s side effects. Okay. What were my other options? There were two different ways I could have my thyroid gland destroyed. I could have it removed surgically. Or I could have a procedure called thyroid ablation, which involves swallowing a radioactive pill to kill the gland. The choices were terrifying. Despite my enrollment in a conventional medical school, I believed there were other roads to health. My plan had always been to become an integrative physician who used diet and natural approachesas much as possible. That desire was reinforced when my mother was diagnosed with pancreatic cancer. Her illness made it clear how resistant most conventional doctors are to any unconventional approach. When I asked Mom’s doctor about some new healing foods I had learned of, he simply scoffed, mocking the very idea that nutrition could play a major role. As I prepared for medical school, I understood that this response would be typical of the mindset I would encounter. Conventional medicine offered my mother nothing except chemotherapy, which could only delay the inevitable. My mother died less than five months after she was diagnosed. I entered medical school the following year — and one year later I was suffering from Graves’. I now know that besides diet, stress is a big factor in the development of autoimmunity. The stress of my mother’s death had clearly helped to trigger my Graves’ disease. But there were other factors involved. If I had known then what I know now, I would have understood how many risk factors I had — and I would have known how to use diet, gut healing, detox, and stress relief to prevent my condition. Had I still succumbed to the disorder, I would at least have been able to avoid conventional medicine’s horrific treatment options. But at the time, my doctors gave me the three unpleasant choices, and as far as I knew, those were the only ones I had. Reluctantly, I opted for the PTU. I developed toxic hepatitis a few months later as the prescription drug started destroying my liver. I nearly had to drop out of medical school. It was now surgery or ablation — remove my thyroid or destroy it. I chose ablation and said goodbye to my thyroid, a choice I regret to this day. Looking back, I have to tell myself that I did the best I could with the knowledge I had. Yet even then, I intuitively knew there was a better way — an approach to health that worked with the body’s natural healing ability instead of attacking it with drugs and surgery. I knew that another type of medicine existed, but nothing I found seemed to get to the root of the problem. When I graduated from medical school, I went into emergency medicine. Since ER doctors don’t have an established practice, I was free to pursue that other type of medicine — as soon as I found it. Meanwhile, my own health problems continued. I never felt really healthy. The best I could feel was “not sick.” Then, finally, I found what I had been looking for. I discovered functional medicine. This was the whole body approach I’d always wanted to practice. Instead of diagnosing conditions and medicating symptoms, functional medicine looks at how all the body’s systems interact and seeks to get them all functioning optimally. I based my own approach, The Myers Way, on that incredible idea. 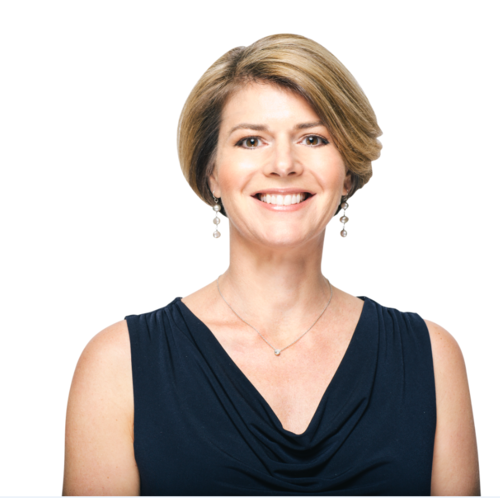 Years later, my practice now includes patients with Graves’ disease and other autoimmune conditions, and it’s not just about managing symptoms. After working with thousands of individuals suffering from a wide range of autoimmune diseases, I now know how to help people reverse their disorder, eliminate their symptoms, and even get off their medication. My program includes a very specific diet as well as a comprehensive approach to all the factors that can lead to autoimmune symptoms and diseases. There is no longer a need to rely on the conventional medical approach that has left so many confused and in constant pain. My own brush with an autoimmune illness gave me both insight and motivation — to find another solution. My reward has been watching patients find relief and thrive again.